Yellow Highlighted area represents kit coverage. 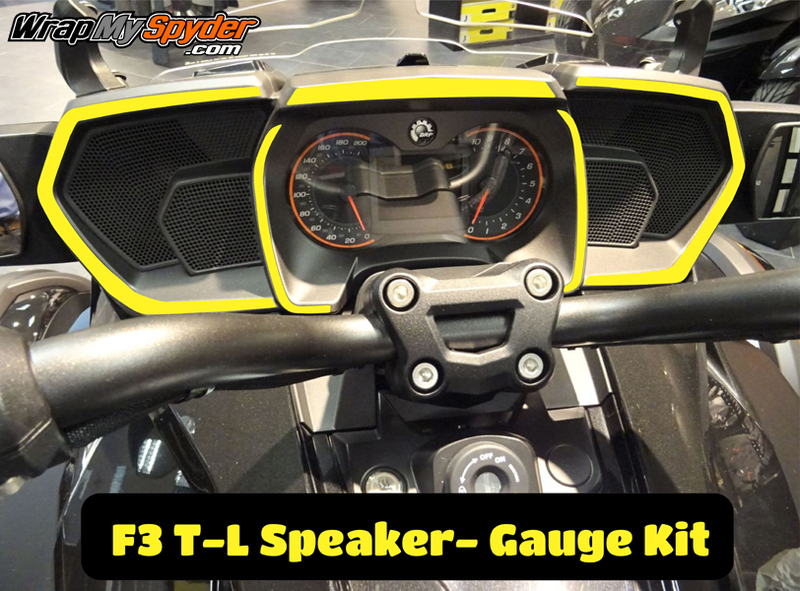 The long awaited Can-am Spyder F3 Limited and Touring Speaker / Gauges kit is here! This 5 piece precision fit dash accent kit will dress up any color machine. Choose from all of our most popular finishes. Yellow Highlighted area represents kit coverage. 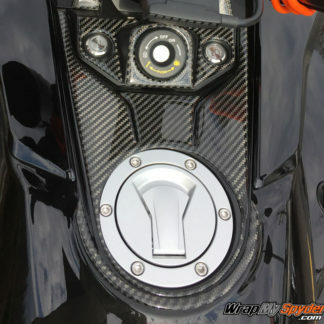 If you are really looking to dress up your machine and make it unique, see our Carbon Fiber Panel Insert Accent Kit and others products for the F3. Add these products individually —- the Spine Tank Protector, 5pc Gas Filler Kit or the Gas Cap Kit. This dash kit fits the Limited and Touring models ONLY. Please make sure your dash looks like the one in the photos.